Thank you for contacting FedEx. We regret any inconvenience this has caused. Our records indicate that there is an existing request for this package to be held at our station for pick up. Your package is going to be held at our station located at [redacted]. Kindly present your tracking number and your government issued Photo ID upon claiming for your package. Please be advised that our courier will need one business day to transfer your shipment to your preferred location. We hope that this information is helpful. Thank you for shipping with FedEx. Thank you for telling me that which I had already pointed out in my original message. Yes I’m aware of to which branch I requested the redirect. I’m aware of when I requested the redirect, and what to do when I pick up the package as I routinely have packages held for pickup since it is just more convenient for me to do so. I was filing a complaint about what happened, not asking for assistance on the matter. My concern is that my redirect request on the package was not honored. You might be interested in looking at the record for Tracking No. [redacted]. That was an order I placed back in July for overnight delivery via FedEx. The shipment record shows that the delivery option was changed to have it held at a FedEx Office location, and that is where the package was redirected and where I ultimately picked up the package. The redirect request was honored without issue. Another such package is [redacted]. 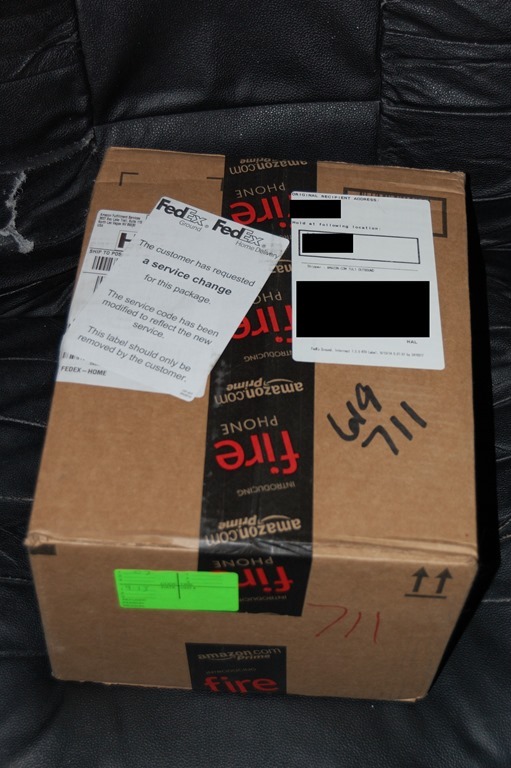 Like the package discussed herein, this package was shipped for Saturday delivery via FedEx. A redirect request was given, and that request was honored. I have never had problems with redirect requests with FedEx, so given this redirect request was not honored but blatantly ignored is what has me frustrated over this. If I never put the redirect request in at all, then that would have been entirely on me. But the fact I did and the package was not redirected as requested is why I’m livid. Again the request was reflected as acknowledged in the record: 9/13/2014, 5:21am, the record shows it will be redirected to FedEx Office, and it never was! That is the whole concern of my complaint. The fact that I requested it be handed over to FedEx Office, and that request was ignored, despite the fact I have had previous overnight orders, and numerous other packages redirected as requested. I wish there was some way that FedEx could have corrected this error once it was pointed out, such as by allowing me to pick up the package from the FedEx Ground sorting facility, but unfortunately that time has now long passed. So all I can instead ask is that redirect requests be honored. Some kind of corrective action here appears necessary. All I’m trying to do here is point out that a problem has occurred and ask that corrective action be taken to prevent this concern in the future. As of the time I posted this, FedEx had not yet made another delivery attempt on the package and there is no indicator it has been delivered or redirected to the requested FedEx Office location, meaning if they move on it on 9/16, it’ll be delivered 3 days late. And yet I have no recourse on this, no way to demand that FedEx compensate me for my inconvenience on this. Update (9/16/2014): FedEx delivered the package to my apartment instead of redirecting it. The box even had the redirect label on it. Someone royally screwed up here.